This program is designed to study in detail the appraisal of communications, energy and transportation properties for Ad Valorem Taxation. The various indices of value – market, cost and income – and the application of these indices will be considered. 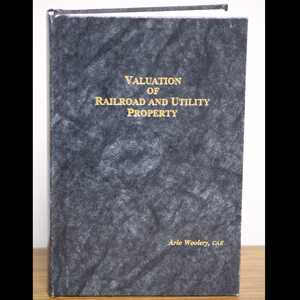 As a rule, these indicators of value are considered for all types of property. There is no other conference in the US that brings this mix of corporate taxpayers, state & local taxing authorities, and tax accountant advisors, tax attorney advisors and tax appraisers together in ONE PLACE. This conference is uniquely focused on the relatively few industries that are subject to the unitary principle. With extensive opportunities for both social interaction & professional networking with corporate taxpayers, tax authorities, and tax advisors. $90 if participating in the Golf Tournament, played Sunday morning, July 28, 2019 at Sand Creek Station in Newton, Kansas. and free access to a Conference mobile application. YOU are responsible for your own lodging – it is not automatic with your registration! Do not hesitate as the Marriott fills quickly! Each hotels is responsible for confirmation and billing for their respective properties. Contact the hotel directly – calling into a Corporate Call Center will not get you the Convention rate on your room. Please mention the WSU Appraisal for Ad Valorem Taxation Conference to receive these special conference rates. The links below go the the properties in Wichita. Pre-Conference 21st Annual Golf Tournament begins Sunday July 28, 2019 at Sand Creek Station, 920 Meadow Brook Drive, Newton, KS with breakfast at 7:30 a.m. with Tee Times beginning at 8 a.m.
Conference Registration will be set up outside the Ballroom at the Marriott and check-in will be available beginning at 3:00 p.m. and will conclude at 6:30 p.m.
Monday, Tuesday and Wednesday sessions are held on the campus of Wichita State University. Monday is an 8 a.m. start, with Tuesday & Wednesday starting at 8:30 a.m.
All sessions conclude by 4:45 p.m. each evening. The campus of WSU is a smoke-free campus. Everyday begins with a light breakfast, there are delicious lunches, and afternoon snacks. You have water, pop and tea provided all day long. The Advanced courses meet Monday, Tuesday and Wednesday. Tuesday and Wednesday have 2 concurrent sessions during the afternoons. 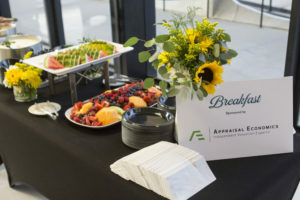 There are receptions each evening at 6:00 p.m. The conference concludes on Thursday, August 1, with Round Table discussions, by Industry. These discussions are held at the Marriott Hotel, with a full breakfast buffet provided. The discussions will conclude by 11 a.m. The 2019 Planning Committee - those folks that make this event happen. The Planning Committee consists of people who understand the logistics of the conference and value the mission of education, information sharing and networking. They volunteer their time, and energies to meet, organize, search for volunteers, and moderate the sessions at each conference. The Planning Committee for the 49th Annual Wichita Program is offering a limited number of partial scholarships for individuals interested in attending the 2019 Conference. Conference scholarships will pay the recipients conference fee and lodging. Scholarship recipients are expected to pay their own travel expenses. Pat McLeod will make lodging arrangements for you as soon as you send her your travel itinerary. You are responsible for making your own travel arrangements. If for some reason you are unable to pay your travel, please note that on your application along with how you can contribute to your trip to Wichita (for example, a flat fee of $$ toward the overall cost). Deadline for submitting a scholarship application is April 15, 2019. Recipients will be notified no later than May 1, 2019 of their acceptance or denial. 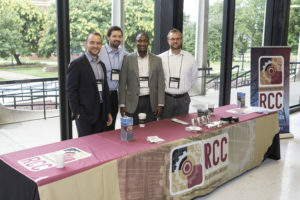 Want to be a Sponsor for the 2019 Conference? 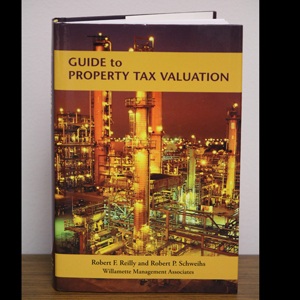 Would you or your organization be willing to contribute to the Appraisal for Ad Valorem Taxation Scholarship Fund? The scholarship fund is used to help individuals attend the conference that otherwise would not be able to afford to come. In addition, Sponsorships are available for any reception, lunch, breakfast, newcomer session or flat dollar donation. As a sponsor, your logo would be prominently located and special mention at all sessions. For information on how you can help off-set some of the expenses of the conference or contribute to the scholarship fund, please contact Pat McLeod, 316-978-5353 or pat.mcleod@wichita.edu. 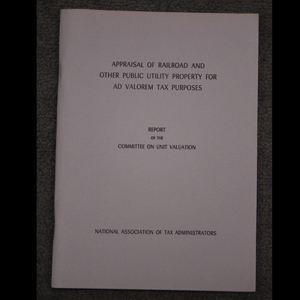 Appraisal for Ad Valorem Taxation of Communications, Energy and Transportation Properties Conference. See the sessions, their speakers, and biographies. See the participants that have registered. See the room locations and parking information. Plan some social activities such as a morning coffee, or meet-ups with your fellow attendees. Find a ride to/from the airport or the University or Dinner. You are added to the Whova app 48 hours after you register online. After downloading Whova , use the email address you used when you registered for the conference, to sign into the app and choose a strong password, or sign up using a social media account. Once you’re signed up, you should be taken directly to your event! Already used the Whova app in the past? Double-check that the latest version is installed on your phone, and log in using your existing account email and password. Please join us for a great tournament as we hope to have over 100 participants. This event is for Conference registrants and their guests and is an excellent networking opportunity to invite colleagues, customers and potential clients for a great day on course. This is a well-managed and exciting course, a 30 minute drive from the Marriott. Prizes and Lots of Fun!! You can even pick your own team or we can pick one for you!!!!!! Try to beat last year’s winners!!!! Mark your calendars now … and join us at this year’s event to be held on Sunday, July 28th, with tee times starting at 8:00 a.m. Continental Breakfast and check-in will begin at 7:30 a.m. Entrance fee includes: Green fees, range ball, cart, putting green, prizes and catered breakfast and lunch. Prizes: Longest Drive, Closest to the Pin, Longest Putt, Best Team Score and more….. Dress code: Proper golf attire and non-metal spike golf shoes required. If your organization would like to sponsor additional prizes, please let us know and that can be arranged. The course has a limited number of golf clubs for rent. FREE Shuttle service will be provided from the Marriott and surrounding hotels to and from the WSU campus. Last years map is below, so you can see the close proximity of the buildings to the parking lots, to the lunch venues. Please contact the CMD offices if you have dietary needs or mobility issue. We suggest you dress in casual, warm-weather clothing and definitely comfortable walking shoes. The average temperature in Kansas in July is upper 90’s, often into the 100’s. It has been known to rain buckets too! Tie into the Conference Whova app so that you get immediate updates on weather and any conference changes. There are many fun and unique things to do while you are in Wichita. The link – VISIT WICHITA will take you to a website with all the attractions for the summer. What's the difference in Advanced Courses and the Principles Course? 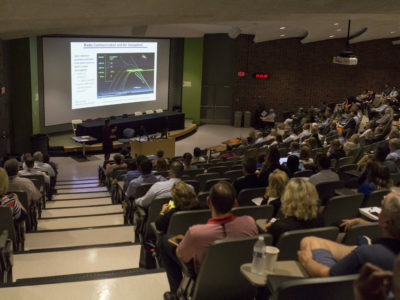 The Advanced sessions are general topics and chosen for their value in increasing industry knowledge for the participants that come to the conference. They are sometimes broken down into a specific industry. The Principles section is a two-day course will providing participants with the essential information and working knowledge that is critical for appraisal professionals. If you are new to the conference, and new to the industry, this class gives you a strong foundation of the tax appraisal process. It is a must! Led by accredited professionals who have refined and tested their appraisal techniques over years of successful central assessment and litigation. When you register for the conference you need to specify that you want to participate in the Principles Session so that a seat is reserved and we have the study materials you will need. The course manuals can be picked up from the Registration area in Hubbard Hall on Monday morning. The Workshop is meant to be an educational forum where speakers and participants can engage in a meaningful exchange of ideas and opinions. The success of individual sessions is directly related to the planning and close cooperation and communication between the moderator(s) and speaker(s). As a Speaker, or a Moderator, you are charged with the responsibility of seeing to it that your session(s) fulfills this objective. The guidelines outlined below are important to fulfilling the objective of the Wichita Workshop Program. Full refunds will be issued up to 2 weeks prior to the conference. So, if you cancel on or before Friday July 12, you receive a full refund. If you cancel on or between July 13 and July 27, a $100 cancellation fee will be withheld. No refund will be given if cancelling on or after July 28. Substitutions can be made at any time, for no additional cost. 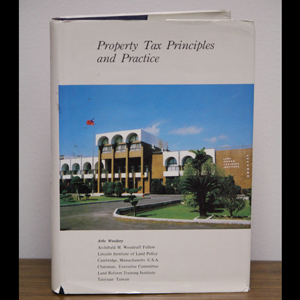 This conference is approved for 20 CEU’s from IPT (Institute for Professionals in Taxation). During the conference, materials received by CMD will be downloadable from this webpage or if you bring a flash drive, available for downloading at the registration table during the conference. Because many of the materials are not received until the day of the presentations, they may not be accessible until CMD receives them. Materials from the 2018 Conference are available upon request. A single presentation is $10, or $125 for the entire conference. If the entire conference materials are purchased, they will be sent to you on a disc via the mail. Materials archives are available from 1971 through 2018. Contact Melissa.Donham@wichita.edu to request materials. There are several reference books available each year at the Conference. If you wanted it and didn’t buy it at the conference we can ship it to you. Contact Melissa.Donham@wichita.edu to order them. 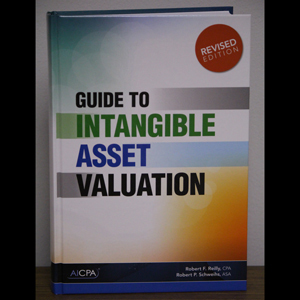 written by Robert F. Reilly, CPA & Robert P. Schweihs, ASA – $35 plus $5 for shipping. written by Robert F. Reilly & Robert P. Schweihs, – $50 plus $5 for shipping. 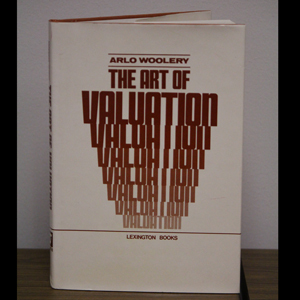 written by Arlo Woolery, CAE – $15 plus $5 for shipping. This year is the 49th Conference year! There is a reason it is still around. Need a form? or a Map?